Golf instructor and analyst for ESPN Hank Haney battled the “yips” for twenty-years before developing a solution to overcome them. He credits his strategy to more research aimed to identify the underlining source of the cause of the yips. 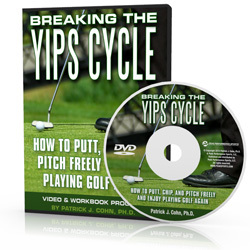 “Research shows that the yips are combination of motor skill problems that cause a player’s brain to distort the message being sent to the muscles,” said Haney. To erase the yips from your putting stroke, Haney says players need to first identify whether or not the yips are the true cause of their putting problems. One way to diagnose the yips is with a TOMI machine that uses sound waves to measure the consistency of your stroke and where the putter is traveling in space. This information is computerized and captures what the yips look like. “If you’ve got the yips, I’ll probably be able to see it – and you’ll be able to feel it – but the machine confirms it,” says Haney. However, you probably don’t have a TOMI machine sitting in your garage, so Haney also suggest using a putting exercise or test to diagnose the yips. 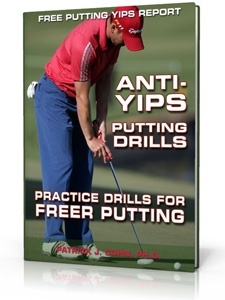 “If you have the yips, you won’t be able to do the test,” says Haney. First, he says to set up with your feet pointed to the right of the hole about ten feet away. Then try to hook a putt back to the hole from an open stance. “A yipper will be able to aim away left and push the ball back to the right,” says Haney. If the diagnosis is the yips then you need to know what hand is yipping during your shot. “If you’re a right-handed player, your yip is most likely happening in you right hand and vice versa,” said Haney. 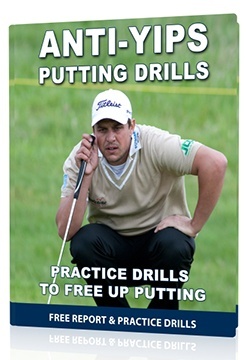 Researchers believe this is because your dominant hand controls the club-face in a regular putting stroke. Then you need to find out the volume of yip you have (light, medium, or heavy) when putting. Once you identify what hand yips and the volume of yip, you can begin experimenting with intervention. He uses various methods to help golfers overcome the yips and most have to do with technical changes, such as changing your grip, a new putter, and set up. Read part two of this article: Hank Haney And His Mental Game Fix For The Yips.